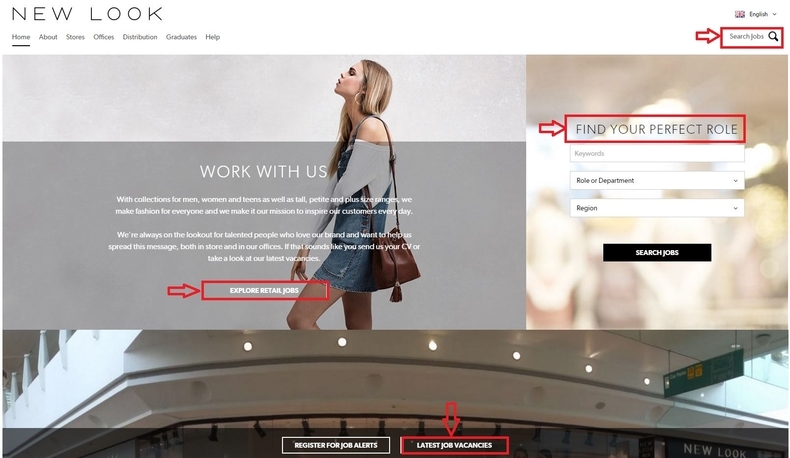 Go to newlook.jobs to get a full picture of how New Look careers page looks like. You'll see ways to find a job like EXPLORE RETAIL JOBS, search jobs using the link at the right upper corner of the page or use the searching criteria to find your perfect role. Or you can just click LATEST JOB VACANCIES to find a job opportunity. 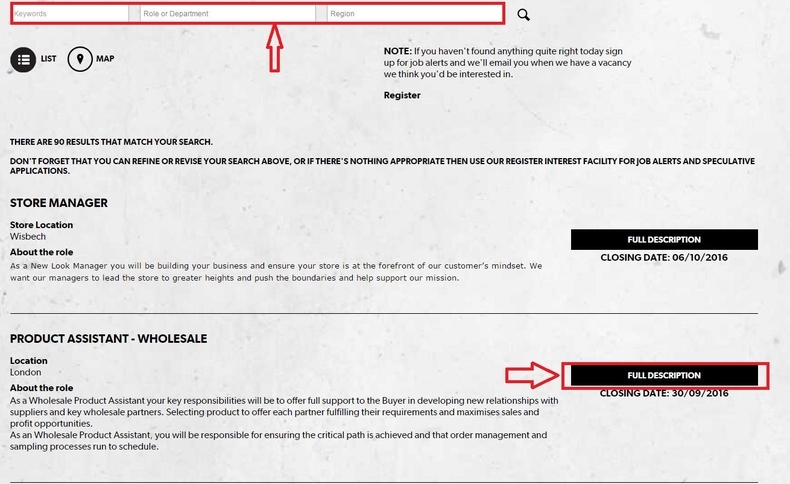 Here we just choose "retail jobs" as an example to show you how to apply for a job at New Look. After selecting retail jobs, there are 90 results presented as below. You can browse those results and pick up one that suites you, or you can use the searching criteria above by entering keywords, role or department and region to help you locate one that best match your career path. 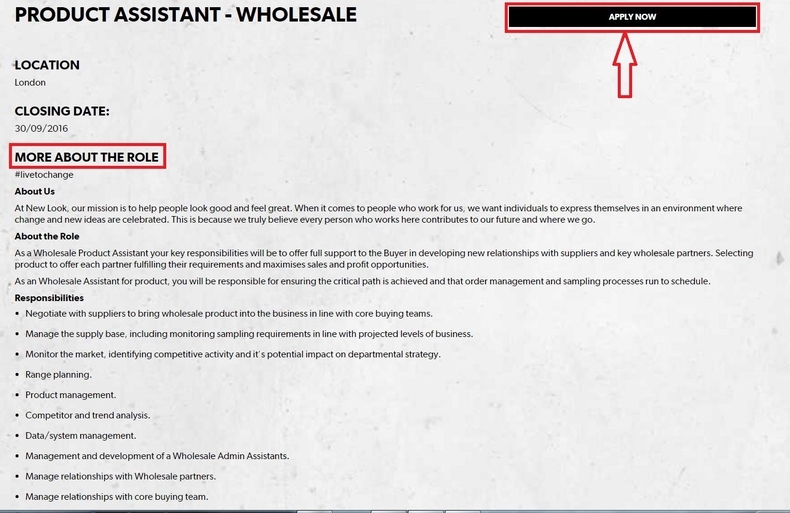 Here we just take PRODUCT ASSISTANT - WHOLESALE as an example to show you the process of New Look online application. Click FULL DESCRIPTION to view more details about the job. Step 3 asks you to read more about the role including the brand info, the role description, responsibilities and experience and skill required for the role. 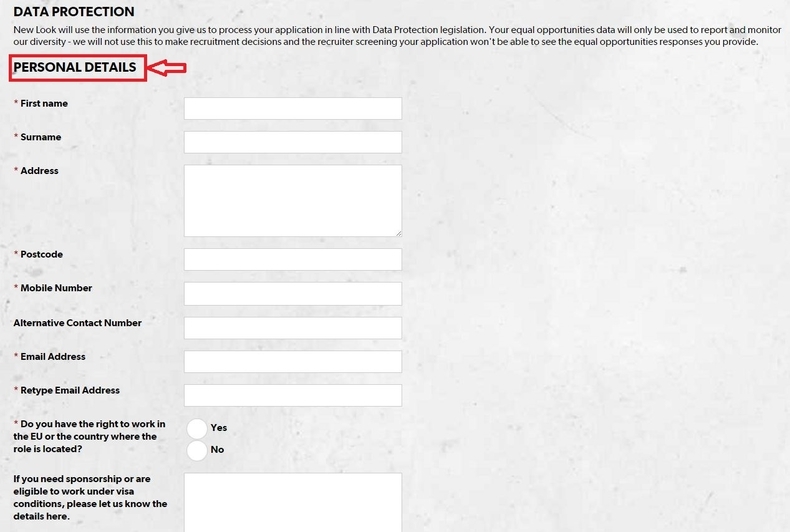 Once you decide to apply for the job, just click APPLY NOW to continue with the application. 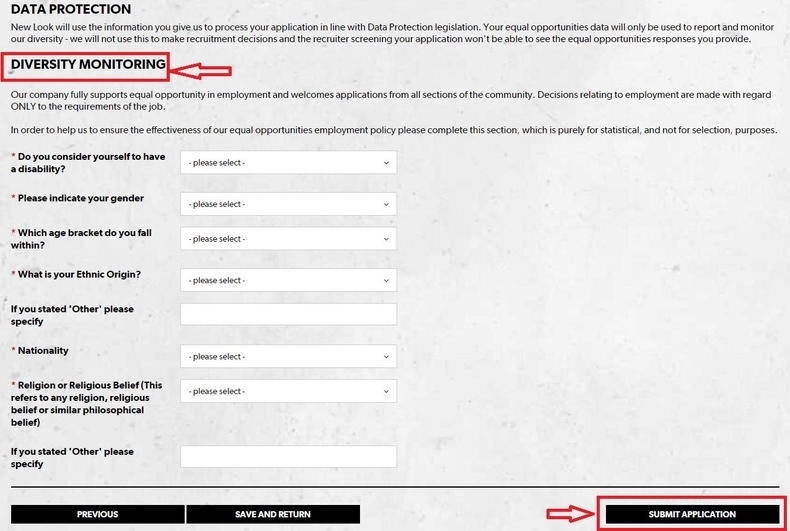 In step 4, you're asked to fill out your personal details by entering your name, address, post code, phone number, etc.. and then indicate your status of disability and where you saw this vacancy. Mandatory (marked with a *) and non-mandatory fields are required to complete. 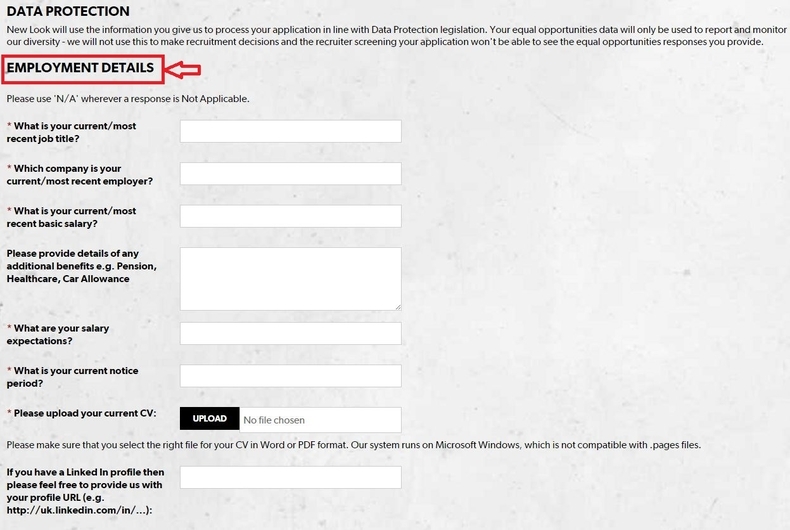 In this step, you'll be asked to complete your employment details by answering some pre-employment questions and uploading your CV. To reveal more about yourself, you can also upload your supporting documentation/current portfolio. Afterwards, you need to tick "Yes" to agree to the New Look application Personal Declaration and press "Next" to move on. To help New Look to ensure the effectiveness of the equal opportunities employment policy, you need to complete this section of diversity monitoring by selecting your status of disability, gender, age, ethnic origin, nationality and religion. After all these done, click "Submit Application" at the bottom of the page to move on. After submitting your application, you're directed to the page showing notes that your application has been successfully submitted. Click newlook.jobs to apply for New Look jobs online.